You are here: Home / Blog / Blog / Tap Water – To Drink or Not to Drink? It is imperative to know the facts concerning drinking water to assess the type and size of water filtration system to be used. Over ninety percent of the water supply systems in the US meet the standards of quality of tap water, as defined by the EPA. Actually, the water supplied by municipalities is better regulated, compared to bottled water, as far as testing and safety goes. Companies manufacturing bottled water have been propagating the idea to the public that it is not healthy to drink water supplied through your home’s taps. The reasons for doing so are not difficult to guess! Nevertheless, mostly, the consumption of tap water is completely safe for regular use, and is economical too. It might be safe to drink tap water, but what about its taste? Safe water doesn’t necessarily stand for tasty water. Many consumers like to use filtered water as it removes lasting minerals, resulting to an improved taste of the water supplied through taps. There is another factor prompting people to prefer bottled water. Water filtration systems installed by municipalities in certain areas are too old to remain efficient and supply perfectly safe water. There is another category of consumers who use water from wells and filter it before using it for drinking or cooking purposes. 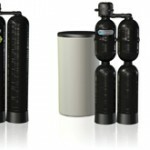 What type of water filtering systems should you choose? At the outset, you need to assess the type of water filtration system you’ll need. If your water quality comes out to be all right, you might just decide on a water softening system if you live somewhere that has hard water issues. This is possibly the greenest decision. Regardless a water filtration system will offer your home the cleanest, safest water and allow you to control the overall quality of water your family drinks on a daily basis. How do I choose a filter type? If you insist on having the best water filtration system money can buy, other than the eco-factors, you will also need to take into consideration the kind of pollutants present in your municipality’s water supply. Unless you send samples of your water for testing at a lab, you can’t know the pollutants it has. The specifications and type of filtration system you require will depend on the impurities contained in the water you may be using. The options presented here are the some of the baseline points for determining the best water filtration system for your home. For the best results, consult with your local water filtration expert from Kinetico. https://sheltonswater.com/wp-content/uploads/2015/08/logo.jpg 0 0 mjmadmin https://sheltonswater.com/wp-content/uploads/2015/08/logo.jpg mjmadmin2016-03-01 05:31:462016-03-01 05:31:46Tap Water – To Drink or Not to Drink?